" Amazing bit of kit, I should have taken a few extras over to NYC, The Chefs Loved it! " The handles are secured with an adjustable flap that connects to a couple of brass poppers ensuring that the knives will never fall out. ​Too big? Too small? 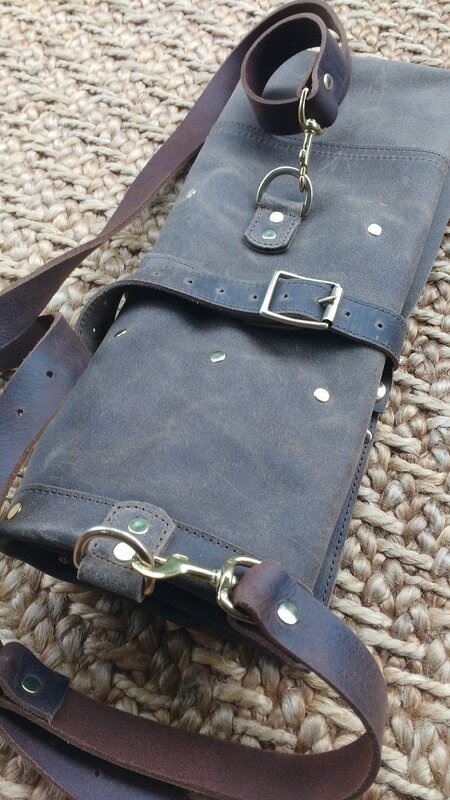 No problem - If our standard Knife Roll does not meet your needs the size and number pockets can be adjusted. We welcome you to measure you're knives to ensure a snug fit and best use of space. 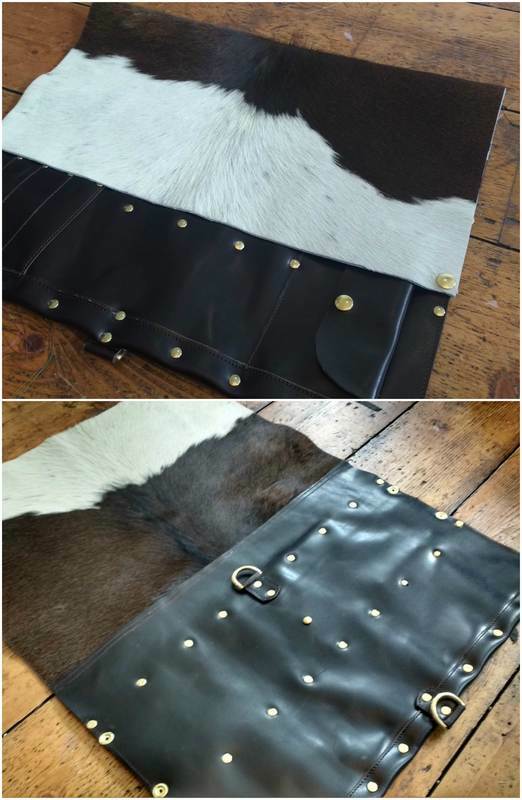 You can even add a handle, strap or select a different type / colour of leather at extra cost to be discussed. 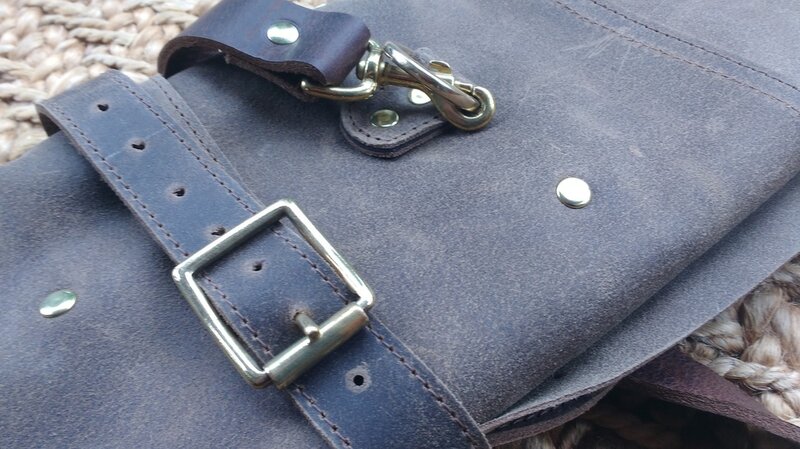 Personalisation is offered at an additional £20 fortwo initials. (Please advise at checkout and you will be invoiced seperately). After many requests, in 2017 we decided to 'Pimp' our basic model and are pretty pleased with the results - As were our customers!! 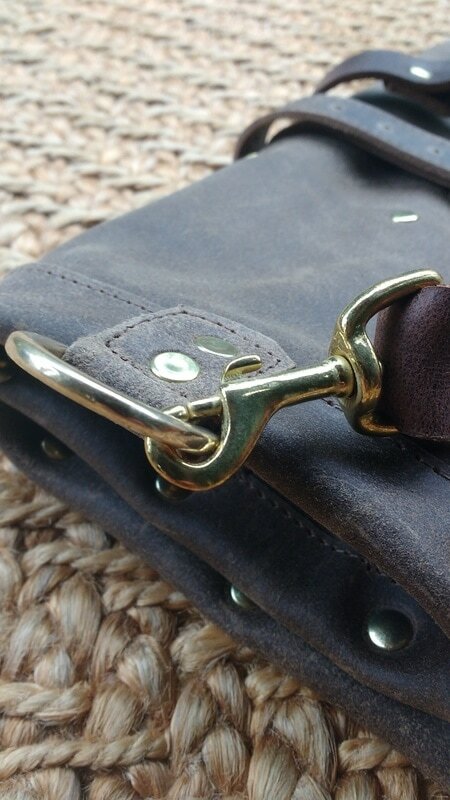 With the usual quality brass fittings you would expect and a fully detatchable strap it is as versatile as you need to be. 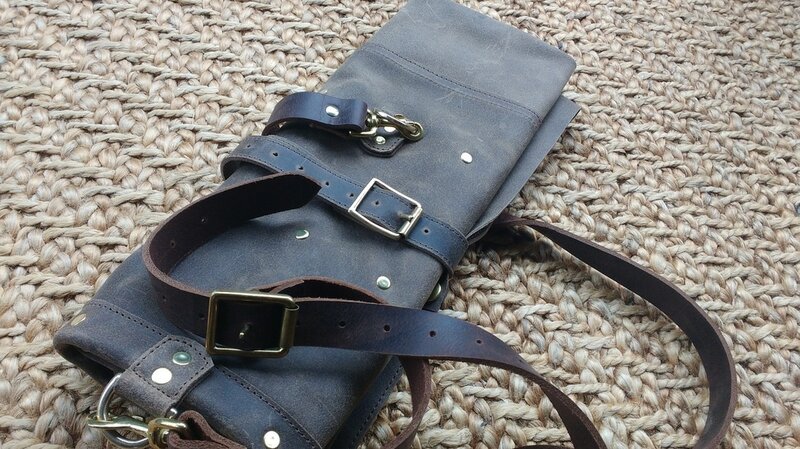 * Personalisation is offered at an additional £20 for two initials. ​(Please advise at checkout and you will be invoiced seperately). 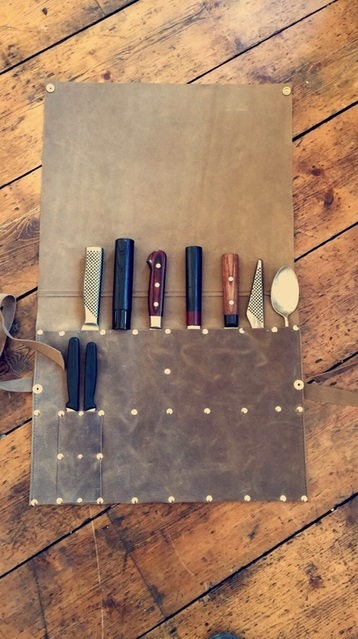 "An amazing bit of kit - at last a wrap that is as good quality as the knives that go in it." 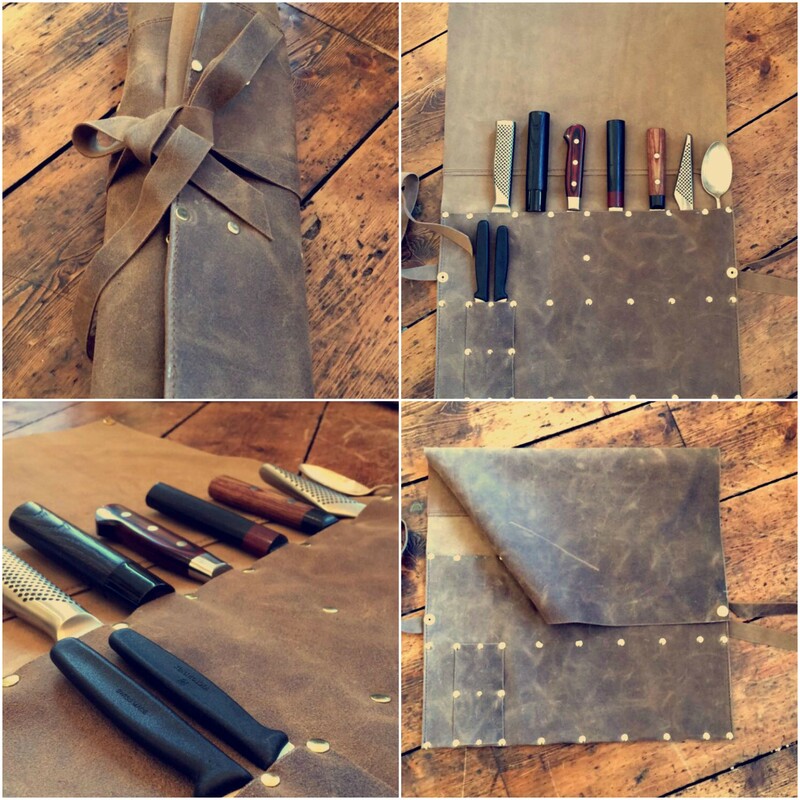 ​"The best knife roll I have had in 20 years of cooking its stunning ,it will last and its personalized..the service is second to none and the emphasis on quality is clear"